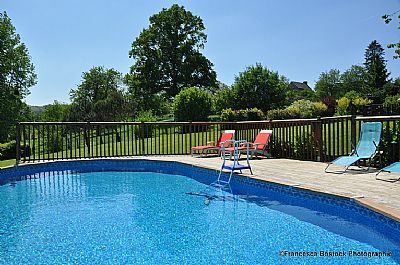 This pool provides the ideal setting to cool down on hot summer days, whilst still enjoying the magnificent views over the Normandy countryside. 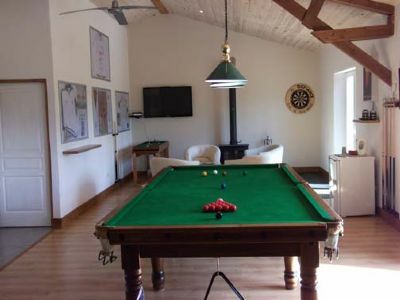 This 100+ square metre games room offers a wide range of indoor entertainment. 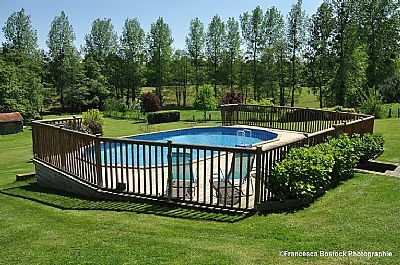 There is also a raised decking area attached to the play barn, with a pub style bench, overlooking the unspoilt, rolling French countryside. 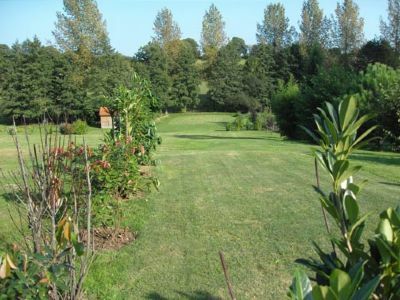 The games room has 10ft x 5ft snooker table, darts, table football, pub style pool table (free play) and table tennis, as well as a relaxing lounge area, complete with woodburner. There is also a 52" flat screen TV, with Wii, french TV and UK TV. 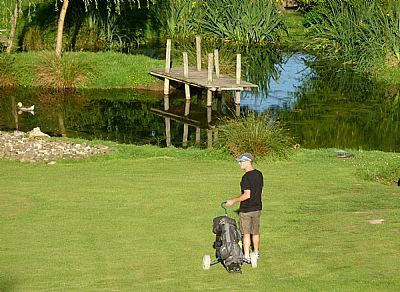 Our three par 3 holes, provide the ideal practice before going off to play one of the many enjoyable links or parkland courses that can be found nearby. 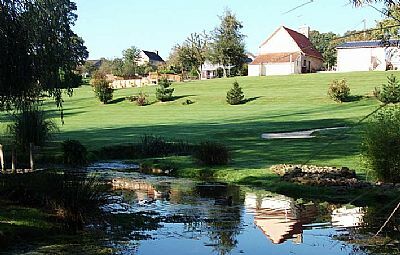 A boules court can also be found in the garden.